As a project manager for oil and gas projects, one of your most important priorities should be making sure that everything stays on schedule. After all, these jobs are often very expensive to plan and execute, and the entities funding the work are no doubt going to want to see a return on their investment as soon as possible. Project delays cost a great deal of money, while also pushing back the horizon on how soon the project will start paying dividends. Fortunately, with the right level of planning and the right technology available to assist you, it’s possible to reduce the chances of a delay. Read this post to learn about some of the main sources of delay in oil and gas projects, and what you can do to overcome them. Let’s face it: oil and gas projects are very complex undertakings. When you have a large team of individuals all working on the same project, keeping everybody on the same page is always going to be difficult. With oil and gas projects, where the team can be spread out over long distances, it becomes especially hard. When miscommunication between team members occurs, or when some team members aren’t working from the most recent version of project data, it can cause time-consuming mistakes. With a cloud-based project management platform, project managers can establish a single central repository for all the project data and communications. The platform can be accessed no matter where a worker may be, including access on mobile devices for field workers. As a result, such a solution can help reduce the potential for miscommunication. While environmental regulations clearly exist for a good reason, it’s impossible to overlook what an inconvenience they can sometimes be for project managers working on oil and gas projects. However, with the right level of planning and awareness, it’s entirely possible for an oil and gas project manager to make sure a project lives up to its environmental responsibilities, while also proceeding according to schedule. A key concept to keep in mind is that all jurisdictions, including local, state and federal jurisdictions, have their own special environmental requirements. This can cause real problems, especially if you’re building in region that you’re not familiar with. The best way to overcome this is to make sure you start early, and consider working with a land surveying partner who can provide the kind of local knowledge that you may be lacking. While collecting land surveying data should of course be a part of your project plan, it can sometimes be difficult to make sure you’ve dedicated the correct amount of time to complete this task. There’s no denying the fact that gathering survey data using traditional surveying methods is slow; the only question is how will it affect the rest of the project schedule going forward? Using aerial data collection performed by unmanned aerial vehicles (UAVs) can help you overcome this issue. UAVs are capable of gathering very large amounts of land data quickly, and their ability to bypass difficult terrain from above means that their work is both faster and more predictable than that performed by land-based surveyors. As a result, you can be sure that you will have all the surveys you need to move forward with your project—on schedule. To learn more about any of the technologies mentioned in this post or to get started planning your oil and gas project, contact Landpoint today. When planning a new oil and gas project, it’s very important that you educate yourself about the permit issues that you might run into along the way. While there are many different permitting issues that could arise, all of these can be boiled down into two main factors: wasted time and wasted money. 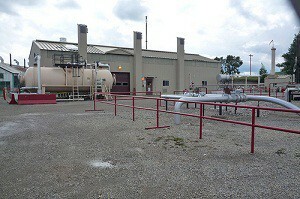 As you are no doubt aware, oil and gas projects operate according to a strict schedule. When a permit issue appears unexpectedly, companies will find themselves putting a stop to things while they wait for the needed permits to come through. This could end up setting the project back weeks, which could in turn have a ripple effect that greatly disturbs the rest of the project schedule. The only way to avoid unexpected sources of wasted time is by planning ahead and making sure that your company knows about any perspective permit issues before they become problems. Just like oil and gas surveying projects have to adhere to strict timelines, they also have to adhere to strict budgets. Oil and gas companies that don’t take the time to familiarize themselves with all of the permitting issues they might face before the project begins risk going significantly over their budgets, which could in turn affect what the company is and is not able to do going into the future. This is another reason why it’s important for oil and gas businesses to look into potential permitting issues as early as possible. 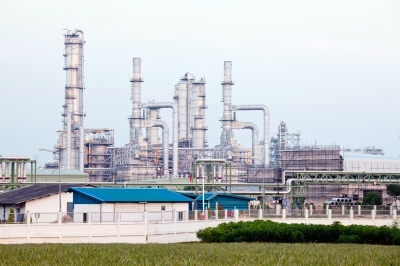 What Types Of Permitting Issues Should Oil And Gas Companies Be Worried About? Oil and gas companies are subject to a variety of state and federal regulations regarding what they can and can’t do. 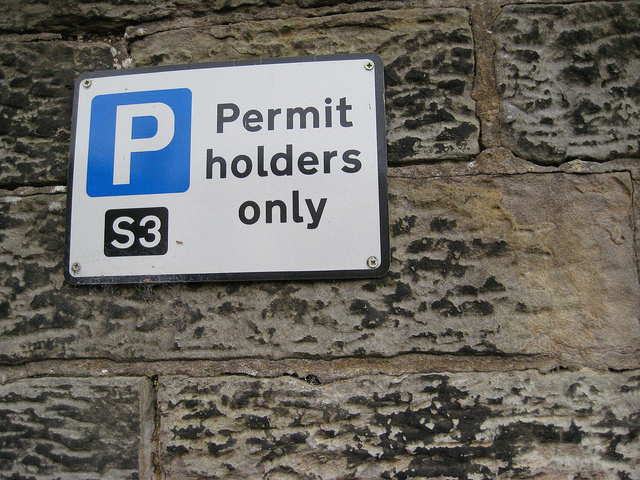 While some states may require a particular type of permit, others may not. On top of this, the turnaround time for permits can vary greatly and some permits can take well over a year to obtain. A 404 Permit, named for Section 404 of the federal Clean Water Act, is something that all companies must obtain before pursuing a project that might affect bodies of water such as wetlands. To be more specific, the regulation limits the discharging of potentially harmful dredged or fill material into bodies of water. In order to receive a permit to proceed with a project that requires the discharge of such material into a body of water, an organization must be able to demonstrate to the EPA that there is no practical alternative available that would be less damaging to the aquatic environment, and that the damage to the water would be limited as much as possible during the project. Gathering and presenting this kind of information takes time, so it’s important to know whether or not you need this permit in advance. 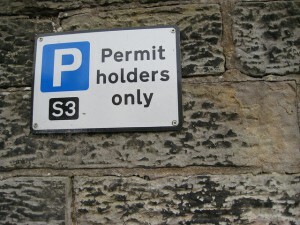 A good example of a permit required by state regulations can be found in Louisiana. A company must secure one of these permits before beginning an oil and gas project that might affect any of the scenic waterways listed on the Louisiana Scenic Rivers Act. Working with a professional land surveying company that has certified environmentalists is the best way to ensure that your company is aware of all the possible permit issues that apply to your project. With this knowledge, you can ensure that these issues don’t stand in the way of you completing your oil and gas project successfully. Contact Landpoint today to learn more about what our oil and gas surveying knowledge and experience can do for you. Scalability is the ability to quickly adjust to changing conditions as they occur. Projects need to continue even when new information changes the nature of the operation and demands an increase in scope. When it comes to oil and gas projects, land surveyors must meet deadlines, manage change, and ensure the end result meets company needs and regulatory standards. As oil and gas industry operations expand, land surveying scalability becomes a major challenge. 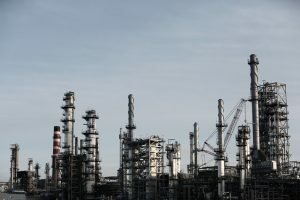 Many surveying companies are small and unable to scale, while others may not be able to scale quickly enough to accommodate oil and gas companies’ needs. As a result, companies may experience much longer turnaround times. “Time is money,” and increased survey turnaround is inefficient and costly. It is extremely beneficial when land surveying firms can efficiently and effectively provide accurate oil and gas field data to aid engineers in decision making and problem resolution. Land surveyors may be required to change course quickly. Regardless of conditions and obstacles, oil and gas surveying projects must meet deadlines and milestones. To do so, they need the team and the technology to be able to easily handle project changes as well as the ability to properly manage resources once they are in place. Most oil and gas surveying projects are multi-phased, from field data collection, to surveyors review, to client deliverable distribution. Oil and gas surveys tend to become more complex as the project progresses. An original survey may turn into re-rotes, moves, and overall scope increases, requiring more resources and in many cases additional skill sets. The survey firm should have the capacity and resources to be able to add additional crews and equipment as needed. 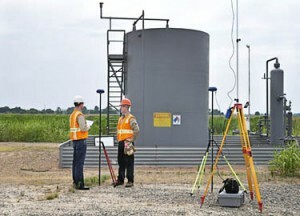 Having access to some of the latest surveying technologies enhances scalability. 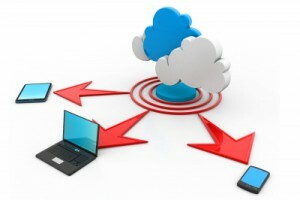 For example, the best GIS uses significantly more data and keeps all of the information in the cloud. Data is made available through smartphones and tablets, enhancing communication between teams and keeping everyone in the loop. When information is kept in a central location and made easily available to those in the field, it means that no matter how many new teams are added, everyone will still be on the same page. Speed – By being able to add additional resources as soon as they are needed, a scalable land surveying company can vastly reduce the time needed to complete a project. Accuracy – A land surveying company needs to have a broad skill set and experience in a number of different oil and gas surveying related disciplines in order to take on the additional tasks that may come up in a project. If they do not have these things, they may attempt to take on tasks with mixed results. Efficiency – The more a project expands and changes, the more necessary it is that the surveying company be able to communicate with other teams and share information. It is better for an oil and gas company to pick a land surveying company that can scale right from the start, instead of having to change midway when it becomes clear that the current surveying company cant. For more information, take a look at our oil and gas brochure. In accordance with OSHA (Occupational Safety and Health Association), every worker has a right to a safe work environment. This is especially important for those in the oil and gas industry for the company as well as for their consultants and partners. Oil and gas project safety has to be everyone’s priority regardless of job assignment, office or field. Vehicle accidents, explosions, fires, chemical exposures, confined space hazards, or employees caught in equipment may occur on rigs, in wells, or along pipelines. And, hazards that cause people to fall, trip or slip are a threat in any workplace environment. OSHA’s General Industry Standards (29 CFR 1910), OSHA’s Construction Standards (29 CFR 1926), and General Duty Clause of the Occupational Safety and Health (OSH) Act were enacted to protect worker health and safety in the oil and gas industry. Hazard Communication (HazCOM) – Negligence of OSHA requirements to provide material safety data sheets (MSDS) for all hazardous materials and chemicals, posted notifications of hazards and chemicals present, or employee training (regular safety meetings). Permitted confined spaces – Safety violations occurring in spaces with limited egress and those over 4-feet deep, including manholes, mineshafts, airshafts, wells, crawl spaces, etc. General Duty Clause (Section of the OSHA Act) – Failure of the employer to comply with OSHA standards or provide a workplace/jobsite free from recognized safety hazards that might cause death or serious physical harm to employees or employee(s) failure to comply with OSHA standards through acts and actions (including drug and alcohol abuses). PPE (Personal Protective Equipment) – Failure to comply with the OSHA requirement to provide and wear gloves, coveralls, respirators, protective head gear, safety reflective vests, ear, eye, and face protections. Wiring, Components, and Equipment – Failure to control gases under pressure that might ignite, cutting and welding near flammable or explosive materials, or poorly maintained electrical wiring or equipment. It is important for the company to set high standards for safety early on in a project. This pertains to the employer, workplace/jobsite, employees and their behaviors that might indirectly create a hazardous environment (negligence, intoxication, addiction, anger/violence, etc.). Explosions, oil fires, chemical spills, collapses, cave-ins, and confined space Oxygen deprivation require employee training in proper mitigation and PPE use, emergency response, site securing, and recovery operations. HazCOM enforces employees’ rights to know potential hazards, how to avoid them, and what to do in the event one occurs. Teamwork and support are equally important. Flexibility – Is the partner willing to accept the oil and gas company’s established safety guidelines? Experience/ Accreditation – Does the partner have knowledge, experience, accreditation, and a clean workplace accident record? (Generally, experienced and accredited firms tend to be “safer”). Ability To Identify Potential Dangers – Is the partner cognizant of conditions that could be hazardous? (Survey Partners using GIS, for example, may identify and mitigate potential safety concerns early in the project). On the job site, safety and accurate end results are of paramount importance. Landpoint is 100% ISNetworld, PEC/Premier, and PICS compliant in all areas and enforces NCMS DOT drug and alcohol standards. We invite you to contact us to learn more about what we can do for your oil and gas project.